Airsweb are delighted to have been announced as one of the top 23 global providers of EHS software by independent research firm. Do Virtual Technologies provide benefit in the workplace of increase risk? Airsweb announce a partnership with Enterprise Health designed to offer employers a comprehensive solution. International construction company John Sisk & Sons become the latest AVA client. Airsweb today announce a new deal with Mammoet, the global market leader in engineered heavy lifting and transport. Airsweb AVA now supports 90 of the most commonly used languages in the world. Airsweb is excited to announce that DFS, the number one sofa specialist in Europe, has come on board as its latest AVA client. 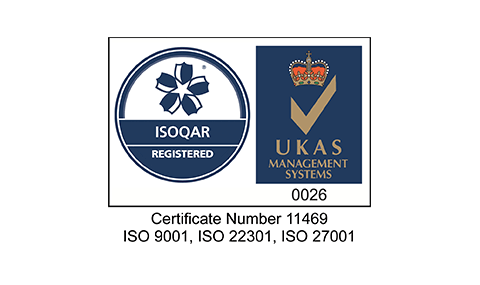 Airsweb are proud to announce they have achieved ISO 22301, the international standard for business continuity management systems. SPL Powerlines UK are delighted with the successful implementation of their latest EHS software system – Airsweb AVA. Airsweb, the leading EHS software provider, are pleased to announce that new client, Silgan Dispensing, has implemented EHS software AVA. Their latest report, 'Smart Innovators: Industrial Wearables' highlights the rise of digital consumer wearables in EHS. Airsweb are delighted to welcome ITV as our latest customer. Leading EHS provider Airsweb are proud to announce they have achieved the Cyber Essentials Accreditation. Leading EHS software provider Airsweb has been recognised as a UK Government approved supplier for the second year in succession. Leading EHS software provider Airsweb recognised by industry analyst Verdantix as setting the trend in innovative wearable EHS technology.